Hot Off the Press this week: Michigan’s brotherly purveyors of garage rock, THE PEOPLE’S TEMPLE, return with their second LP in 2014 (State Capital/ Eye Vybe), Australian garage sensation THE FROWNING CLOUDS have just announced their second album (Saturno Records), AXIS: SOVA has a new self-released cassette EP (Licking River Records), and CLEARANCE of Chicago has a new cassette compilation (Unsatisfied Records). 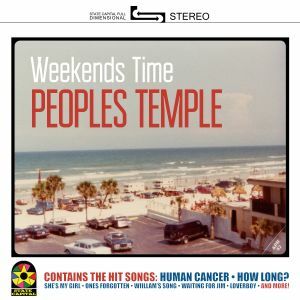 The People’s Temple – Weekends Time LP: For their second album of 2014, the band has turned a new leaf in their growing discography. Weekends Time offers a collection of nine new songs with a clear and sprightly pop approach. The band executes their psych-flared, surf-ready guitar jangle in a variety of ways, which includes two Ariel Pink covers – “Loverboy” and “She’s My Girl.” Elsewhere, “William’s Song” or “Human Cancer” reminisce the haunted, bluesy twangs from their previous albums, minus the hypnotizing, drug-fueled haze that blanketed their sound. That said, Weekends Time is a clean and accessible collection of garage rock that displays a new progressive direction for the band. State Capital Records in New York releases the LP on September 25th – color vinyl is limited to 50! 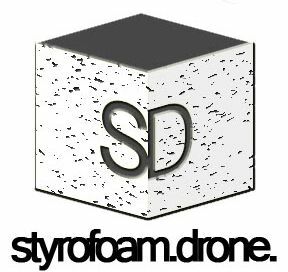 Eye Vybe Records is doing the cassette version! 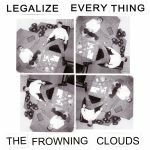 The Frowning Clouds – Legalize Everything LP: Based between Geelong and Melbourne in Australia, the Frowning Clouds have emerged with their second full-length. Saturno Records releases the LP from Sevilla, Spain, providing us with the proper follow-up to 2013’s criminally overlooked Whereabouts. The Clouds continue their groovy and effortless take on garage, delivered in efficient, 2-3 minute pop nuggets saturated by a wispy psychedelic haze. Summer is already over, but extend it for as long as you can by listening to “Sun Particle Mind Body Experience” here. Pre-order the album from Saturno Records now with a discount – it begins shipping September 22nd. Recorded late in a single night in Chicago, this new cassette from Axis: Sova will be available on their upcoming tour. The new 4-track cassette clocks in with nearly a half hour’s worth of sticky psychedelic pop, bubbling menacingly in a cauldron of hot, vaporous tar. Their slow and dirgy approach keeps you guessing through the first half, but they change the pace with the sunburned guitar grit of the speedy “Lucid Dreams.” Listen to the stream of “Eyes Have It” above and don’t miss them on tour later this month – they’re in Philadelphia on September 20th, playing at the local bagging cages (yes batting cages) Everybody Hits with Birds of Maya and Apache Dropout. See you there. 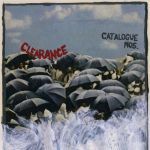 Clearance – Catalogue Nos. CS: Released by Unsatisfied Records (a sister label of Mock Records) out of Los Angeles and Oakland, Catalog Nos. takes all of Clearance’s recorded material from the past year (or so) and conveniently places it on one cassette. That includes both of their 7″ records, their “Carte Blanche” digital single from March, and a tiny handful of previously unreleased songs. Unsatisfied Records releases the compilation on September 16th, but you can stream the whole thing now. Take note of compilation closer “Merchant Copy,” one of their previously unheard songs. We know what you’re thinking early on, but the song transforms into an ecstatic and blown-out mess of melodically wigged-out guitar shards. If you’ve been sleeping on this band, this should be your wake up call, and luckily it’s still not too late.